The Luxembourg BioHealth Cluster managed by Luxinnovation aims to strengthen and capitalise on the national strategy developed by Luxembourg’s government to achieve scientific excellence in molecular diagnostics, the cornerstone of personalised medicine. 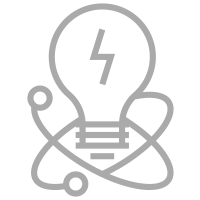 Its members are R&D companies, public research organisations, laboratories, hospitals and other actors (patients associations, service and capital providers, etc.) whose activities are related to health sciences and technologies. The main focus of the Cluster is personalised medicine, an area in which Luxembourg has identified niche areas of expertise where the country has strong potential to be competitive at a global level: digital health, neurodegenerative diseases, molecular diagnostics and immune-oncology. enhance Luxembourg’s reputation as a recognised and attractive environment for biomedical research, development, innovation (RDI) and business. support the community, help members find new opportunities for advancement here in Luxembourg and abroad, and work with them to articulate their needs and their challenges at a national level. 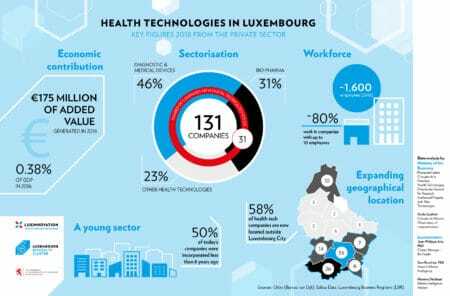 Learn more about health technologies in Luxembourg. BioHealth companies present themselves and their capabilities on personalised profile pages.